Wear Courtney ring to diversify your everyday look. 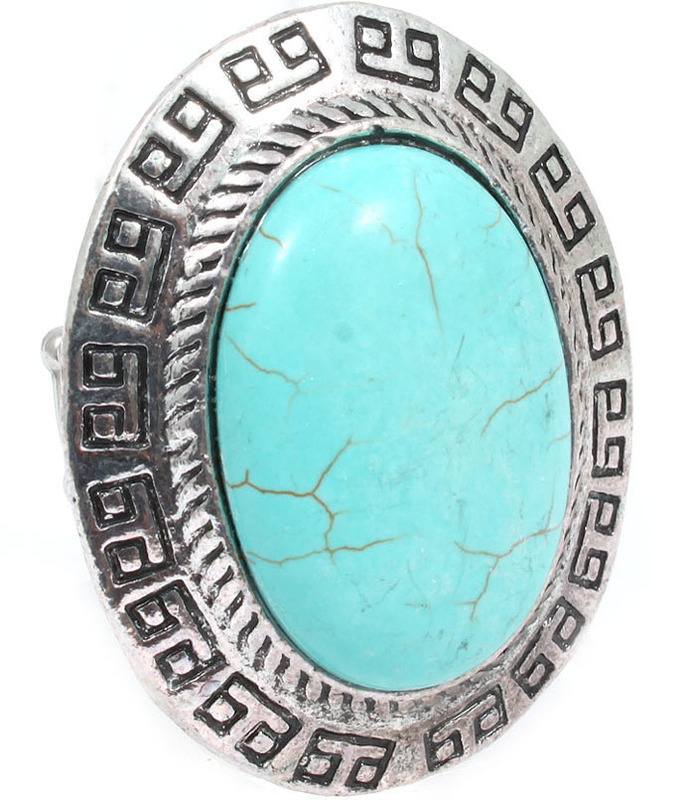 Large smooth oval stone of delicate and airy turquoise shade sits in the center of wide silver tone frame with modernistic ornament on it. Add any of our attractive turquoise rings to your favorite summer outfit and make it pop!